A while ago, I posted about the Valley of the Rocks and Lynton, as the first installment in my North Devon coast series. 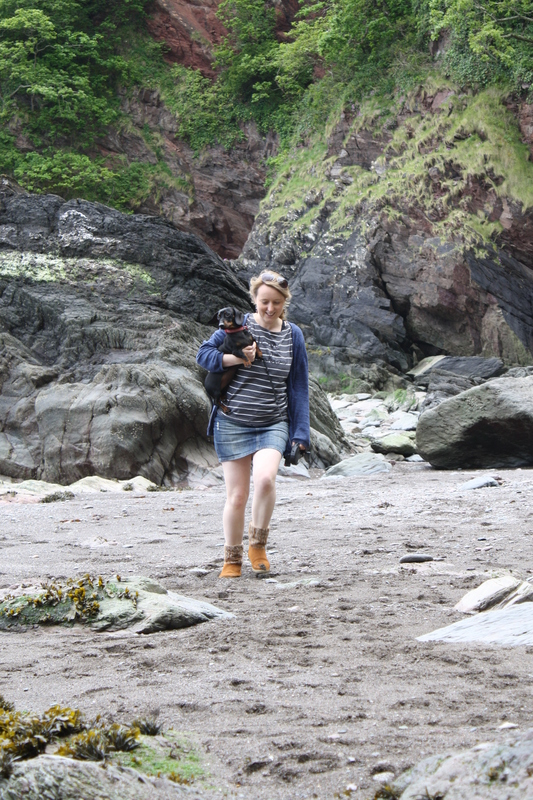 Today, we took a trip just a little way around the coast from there, to Woody Bay. 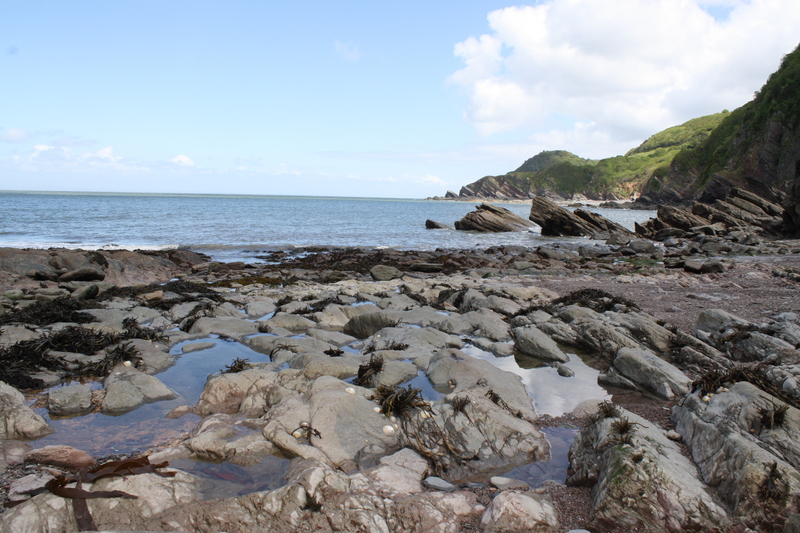 I got ready with a real air of excitement, as going to Woody Bay calls for a proper day trip. 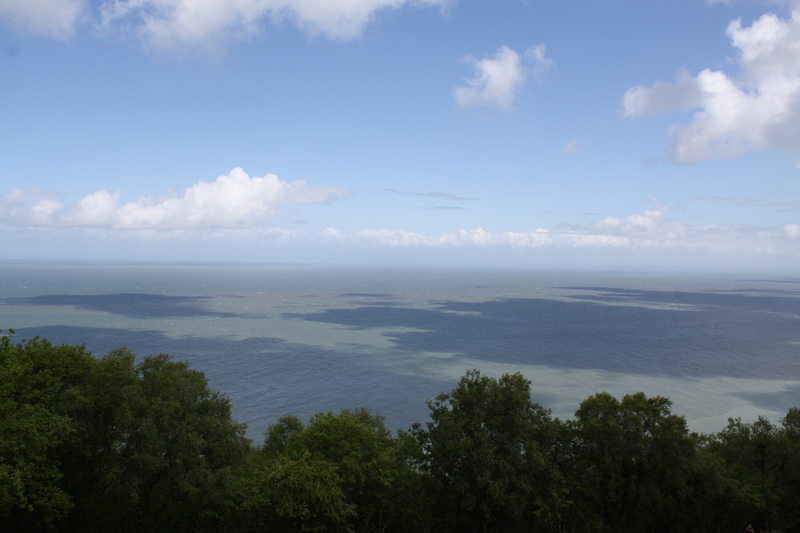 The drive there takes you through Exmoor and along the coast with stunning views. We parked at a National Trust car park at the top of the cliff, which made for a fairly long walk down and back, but you can park slightly further down the hill if you prefer. 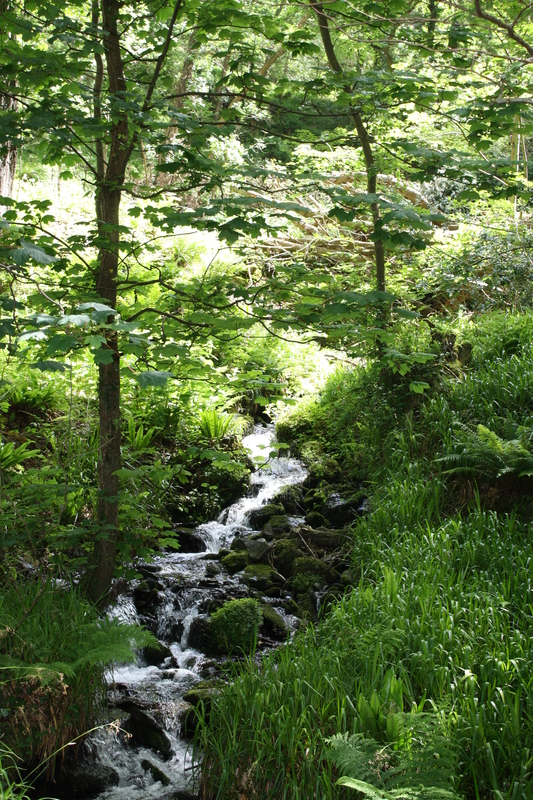 The walk down to the Bay takes you through the woods, which at this time of year are beautifully green. 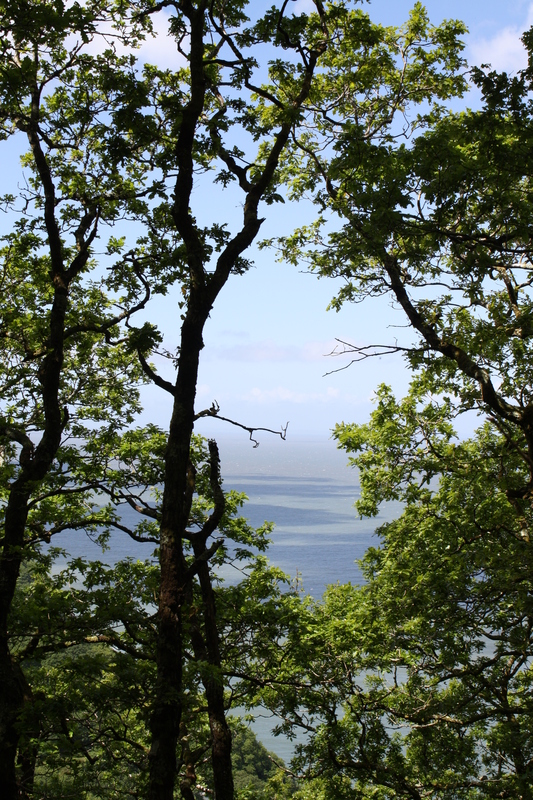 As you zig-zag down the side of the cliff, you keep coming across the waterfall that flows all the way down to the bay through the woodland, and you catch glimpses of the sea through the trees. You pass a few partially hidden, beautiful houses, most of which started life when the Victorians set about making the bay into an exclusive resort, but now have a sense of quiet isolation and retreat about them. Just before you get to the bay, you find an old stone wall, part of an old fort it seems, with a tangle of undergrowth sprouting up around it. 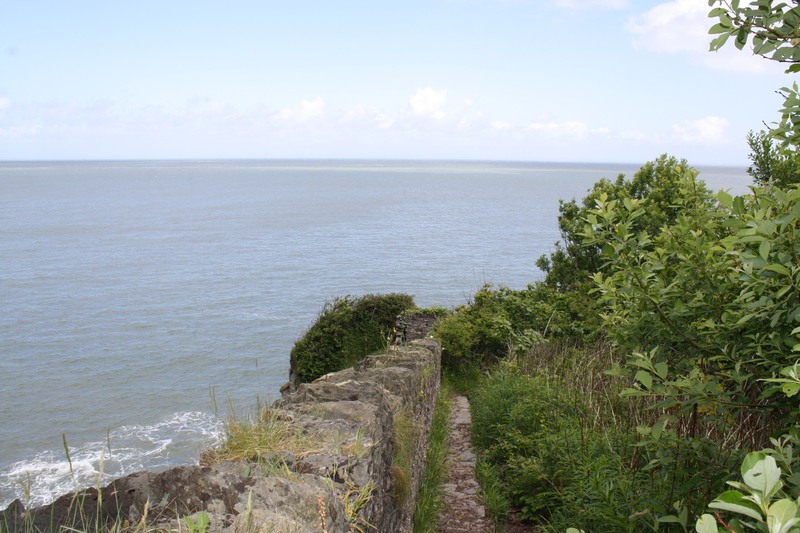 If you follow the tiny path downwards, you find yourself at a viewing point where you can look out to sea and spot birds on the rocks. Nature has certainly reclaimed this spot since the Victorian times. Today there were seagulls nesting in the crevices of the cliff, and oyster-catchers down on the rocks. Come out of here and you can continue down to the bay, passing a couple man-made ‘caves’ on your way. 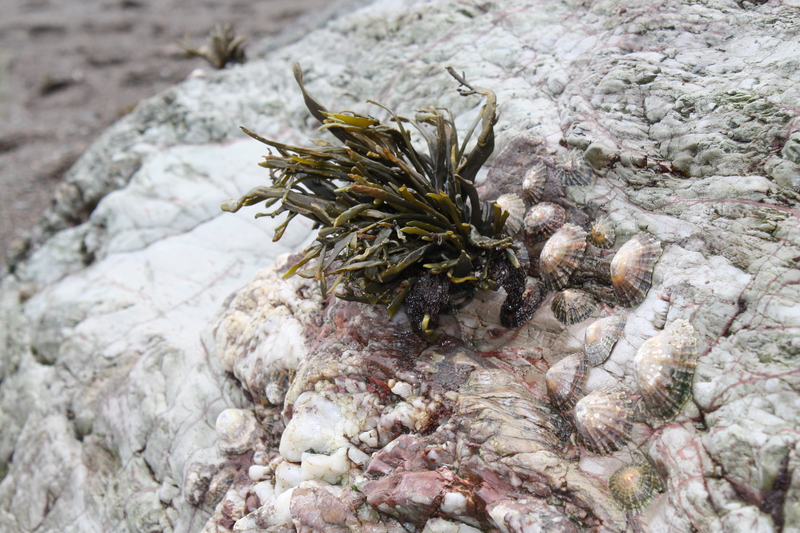 It’s a rocky bay, much of which is covered with seaweed and limpets. We found a sheltered spot on the shingle and had a picnic, which we were more than ready for after the walk down. I brought Ginger Beer, which I think of as a quintessential drink for walks in the British countryside, particularly around the coastline! Perhaps it is all the Famous Five books I read as a child! Although the bay is small, there is plenty to explore. 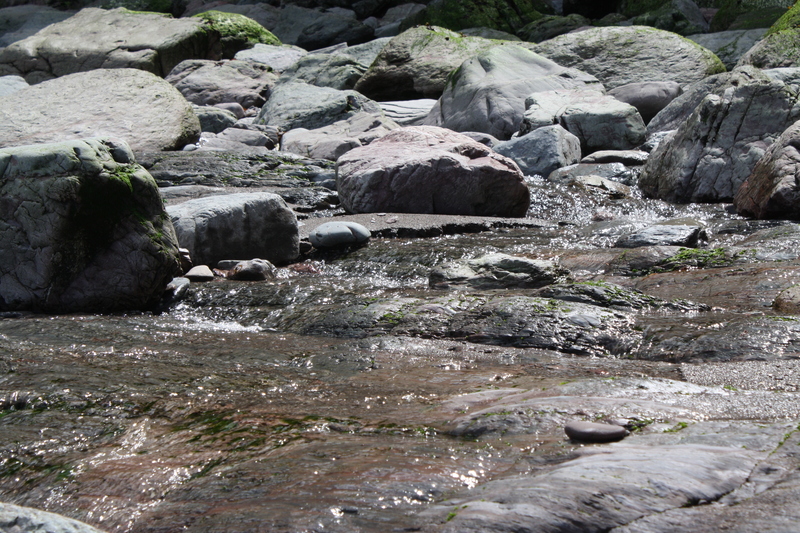 The rock-pools are full of life, there are interesting shells and pebbles to collect, and then there is the waterfall, which now has a power and drama it did not have as it meandered through the woods above. The sea makes for a pleasant paddle, though I found it difficult to swim because of the rocks, which jut out and are covered in seaweed. It was so good though to stand in the waves and feel them crashing around me. The bay is fairly popular with walkers, but we had it to ourselves for much of the time we were there, with small groups and couples wandering down but not tending to linger for long. The walk back up to the car is steep but rewards you with good views and a sea breeze. 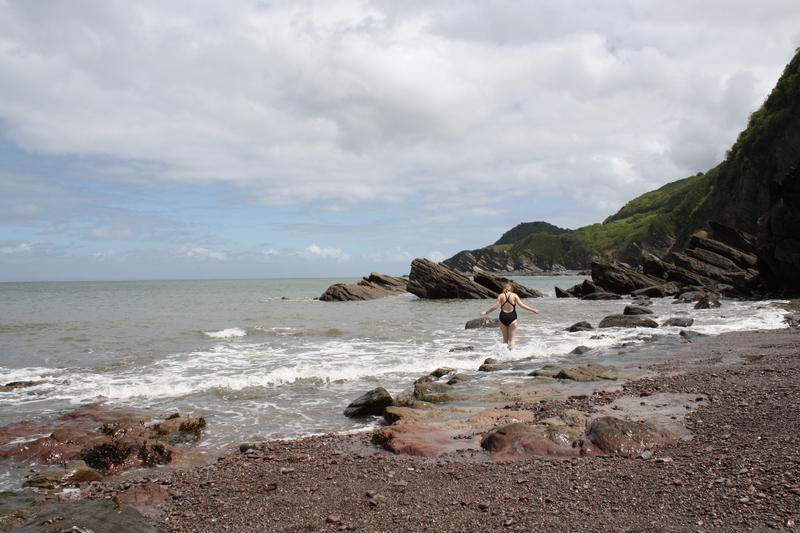 Among the best things about Woody Bay are the sounds. The birdsong in the woods on the walk down and back up. 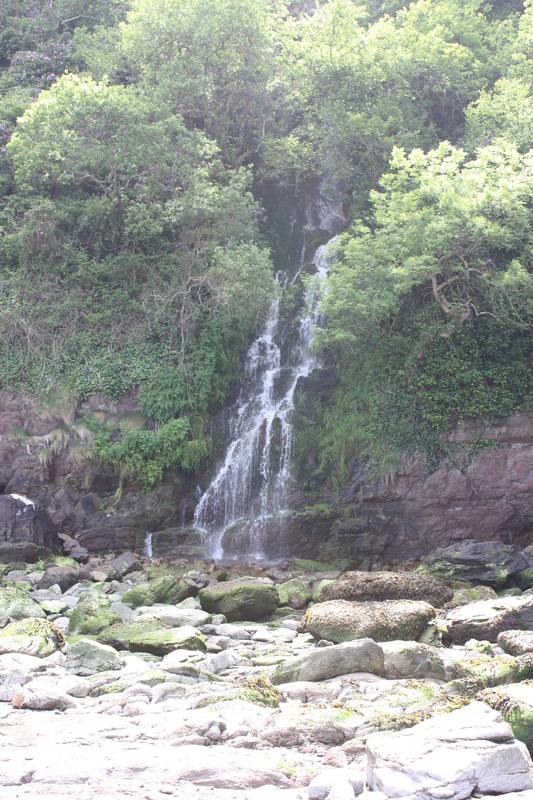 The gentle sounds of the waterfall as it descends through the forest, and its crashing power when it reaches the bay. The calls of gulls and oyster-catchers. The waves. The quiet. This is a special trip to make – one that feels a little adventurous. 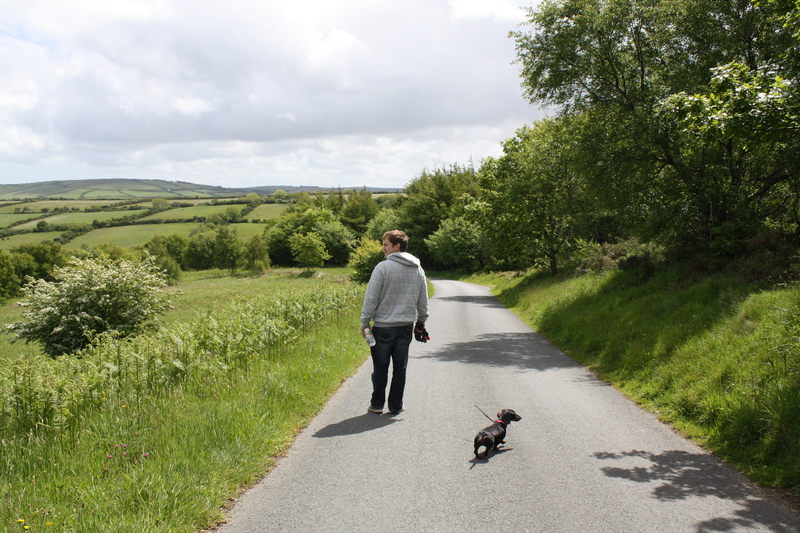 If, like me, you are following or taking part in the Wildlife Trust’s 30 Days Wild campaign, then this would be a great location to discover one weekend this June. 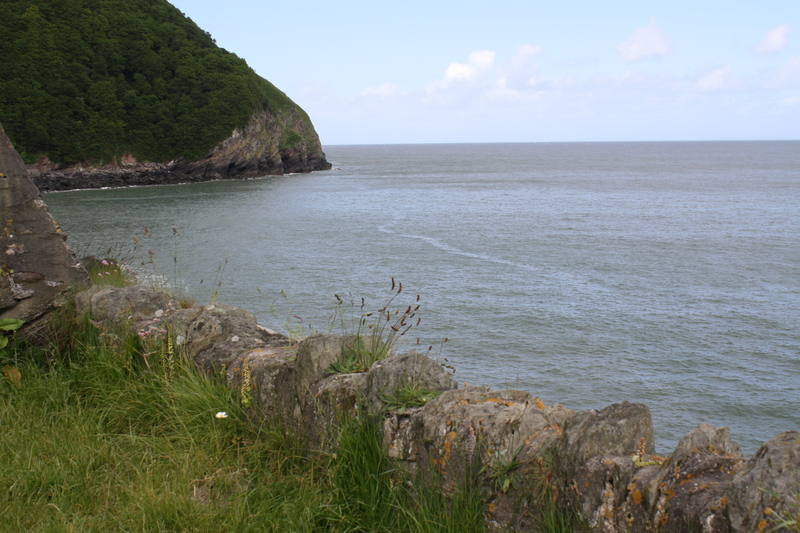 Next time, we want to do the walk along the coast path from Woody Bay to Heddons Mouth, which is said to be beautiful.